During its developer conference in San Francisco today, Google opened preorders for an early "Explorer Edition" of its Project Glass head-mounted display. Attendees will be able to purchase the glasses for $1,500 with an expected arrival date of early next year, though units will reportedly only ship in the US because of regulatory issues. It's unclear when a polished mass market device will be offered. 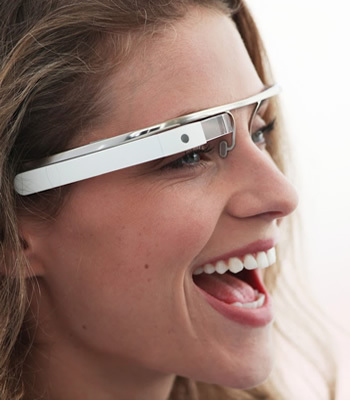 Google first unveiled Project Glass in April as a heads-up display that provides access to smartphone-like connectivity and features. In a video released earlier this year, Google offered various examples of how Project Glass would fit into someone's everyday life, including instant hands-free access to information such as your schedule and the weather, as well as social abilities like voice messages. Other examples included the ability to access map data for the inside of a store, to send and receive location data from friends you're meeting with, to stream content such as music, as well as take, send and receive pictures and videos. All of that will likely be possible with later versions of Project Glass, but the Explorer Edition sounds less polished -- again, it's meant for developers to tinker with. Relatively few details were shared about the device. It's said to be pretty light (more so than some sunglasses, according to Google), especially for the hardware it's packing, which includes a "powerful processor," "lots of memory," an accelerometer, a gyproscope, wireless radios for data transmission, a speaker, a mic for voice commands, and a camera that can be controlled by a touchpad on the side of the unit.